21 Jump Street is going to surprise you. Not only is it one of the funniest movies I’ve seen in a long time, it’s got some great action and awesome performances from all involved. If you had told me that the pairing of Jonah Hill and Channing Tatum would be comedy gold, I would have never believed you. But it is. Also, another big surprise was Ice Cube. I’ve seen the film twice and both times he brings the house down with his almost everything he says. 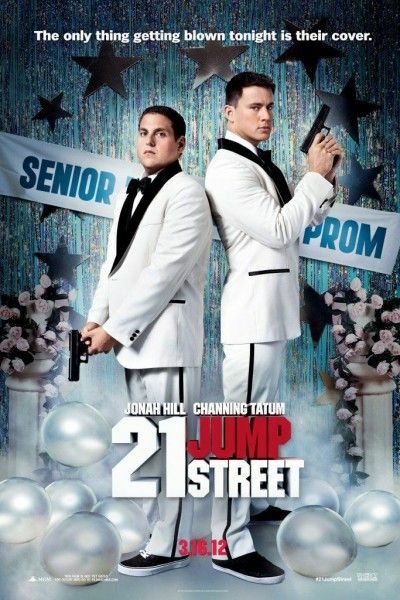 Trust me, you want to see 21 Jump Street and I’d advise seeing it with a crowded theater. It’s a blast. For more on the film, here’s Matt’s glowing review, Brendan’s set visit, a five-minute red band clip, and all our coverage on directors Phil Lord and Chris Miller‘s awesome movie. Last week I got to speak with Hill and Tatum in New York City about their movie. During the interview we talked about their outfits, when they first knew they’d be so good together, whether or not it was difficult for Tatum to keep up with Hill when he started to improvise, deleted scenes, karaoke, favorite movies, and a lot more. Hit the jump for more. Finally, if you missed my video interviews with Ice Cube, directors Phil Lord and Chris Miller, or Rob Riggle, just click the links.